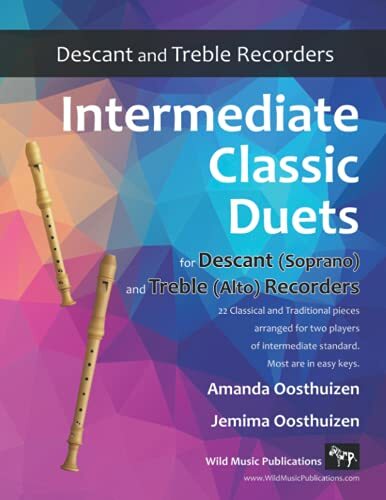 Intermediate Classic Duets for Descant (Soprano) and Treble (Alto) Recorders: 22 classical and traditional melodies for equal Descant and Treble . intermediate standard. Most are in easy keys. Amanda Oosthuizen is a prize-winning writer and the author of many music books. She is a highly experienced woodwind teacher and lives with her family in the UK. Jemima Oosthuizen is a freelance bassoonist and a graduate of the Royal Academy of Music.